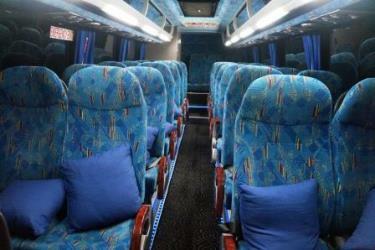 What is the cheapest way to get from Christchurch Airport (CHC) to Lincoln University? The cheapest way to get from Christchurch Airport (CHC) to Lincoln University is to drive which costs $4 - $6 and takes 18m. What is the fastest way to get from Christchurch Airport (CHC) to Lincoln University? The quickest way to get from Christchurch Airport (CHC) to Lincoln University is to taxi which costs $70 - $85 and takes 18m. 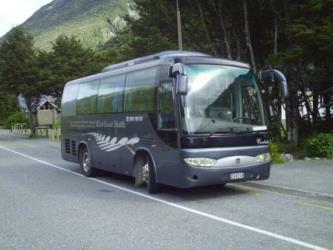 Is there a direct bus between Christchurch Airport (CHC) and Lincoln University? 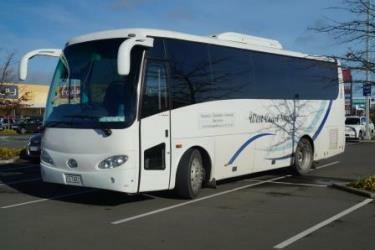 No, there is no direct bus from Christchurch Airport (CHC) to Lincoln University. However, there are services departing from Christchurch International Airport and arriving at Lincoln University via Westfield. The journey, including transfers, takes approximately 1h 35m. How far is it from Christchurch Airport (CHC) to Lincoln University? The distance between Christchurch Airport (CHC) and Lincoln University is 18 km. The road distance is 19.5 km. How do I travel from Christchurch Airport (CHC) to Lincoln University without a car? The best way to get from Christchurch Airport (CHC) to Lincoln University without a car is to bus and line 80 bus which takes 1h 35m and costs $6 - $8. How long does it take to get from Christchurch Airport (CHC) to Lincoln University? It takes approximately 1h 35m to get from Christchurch Airport (CHC) to Lincoln University, including transfers. Where do I catch the Christchurch Airport (CHC) to Lincoln University bus from? Christchurch Airport (CHC) to Lincoln University bus services, operated by Metro Christchurch, depart from Christchurch International Airport station. Where does the Christchurch Airport (CHC) to Lincoln University bus arrive? Christchurch Airport (CHC) to Lincoln University bus services, operated by Metro Christchurch, arrive at Lincoln University station. Can I drive from Christchurch Airport (CHC) to Lincoln University? Yes, the driving distance between Christchurch Airport (CHC) to Lincoln University is 19 km. It takes approximately 18m to drive from Christchurch Airport (CHC) to Lincoln University. Where can I stay near Lincoln University? There are 552+ hotels available in Lincoln University. Prices start at $100 NZD per night. What companies run services between Christchurch Airport (CHC), New Zealand and Lincoln University, New Zealand? You can take a bus from Christchurch Airport (CHC) to Lincoln University via Westfield Riccarton, Westfield, and Lincoln University in around 1h 35m. Rome2rio's Travel Guide series provide vital information for the global traveller. Read our range of informative guides on popular transport routes and companies - including 4 stunningly beautiful Philippines islands you need to visit, How to plan an amazing trip around Scandinavia and Best ways to travel around Australia - to help you get the most out of your next trip. Discover how to get to attractions and hotels near Lincoln. ChristChurch Cathedral, a deconsecrated Anglican cathedral in the city of Christchurch, New Zealand, was built between 1864 and 1904 in the centre of the city, surrounded by Cathedral Square. It became the cathedral seat of the Bishop of Christchurch in the New Zealand tikanga of the Anglican Church in Aotearoa, New Zealand and Polynesia. Hagley Park is the largest urban open space (164.637 hectares) in Christchurch, New Zealand, and was created in 1855 by the Provincial Government. According to the government's decree at that time, Hagley Park is "reserved forever as a public park, and shall be open for the recreation and enjoyment of the public." Hagley Park is characterised by its trees and broad open spaces. Hagley Park was named after Hagley Park, the country estate of Lord Lyttelton, who became chairman of the Canterbury Association in March 1850. Orana Wildlife Park is New Zealand's only open-range zoo, sitting on 80 hectares of land, located on the outskirts of Christchurch. It opened in 1976, and is owned and operated by the Orana Wildlife Trust, a registered charity. The aims of the Trust are to provide quality recreational opportunities for local people and visitors to Christchurch; conserve endangered native and exotic wildlife; educate visitors (especially children) about environmental and conservation issues; and support research relating to endangered animals. City Mall is the main pedestrian mall in the central city of Christchurch, New Zealand, comprising two sections of Cashel Street plus the Bridge of Remembrance and one section of High Street. The Bridge of Remembrance was pedestrianised in 1976. The main mall was closed to traffic on 11 January 1982 and formally reopened as a pedestrian mall on 7 August, but it was not until 1992 that the entire mall was paved. The mall was redeveloped between 2006 and 2009, and track was installed for an expansion of the heritage tram network. Rome2rio makes travelling from Christchurch Airport (CHC) to Lincoln University easy. Rome2rio is a door-to-door travel information and booking engine, helping you get to and from any location in the world. Find all the transport options for your trip from Christchurch Airport (CHC) to Lincoln University right here. Rome2rio displays up to date schedules, route maps, journey times and estimated fares from relevant transport operators, ensuring you can make an informed decision about which option will suit you best. Rome2rio also offers online bookings for selected operators, making reservations easy and straightforward. Need an airport transfer from Christchurch Airport?